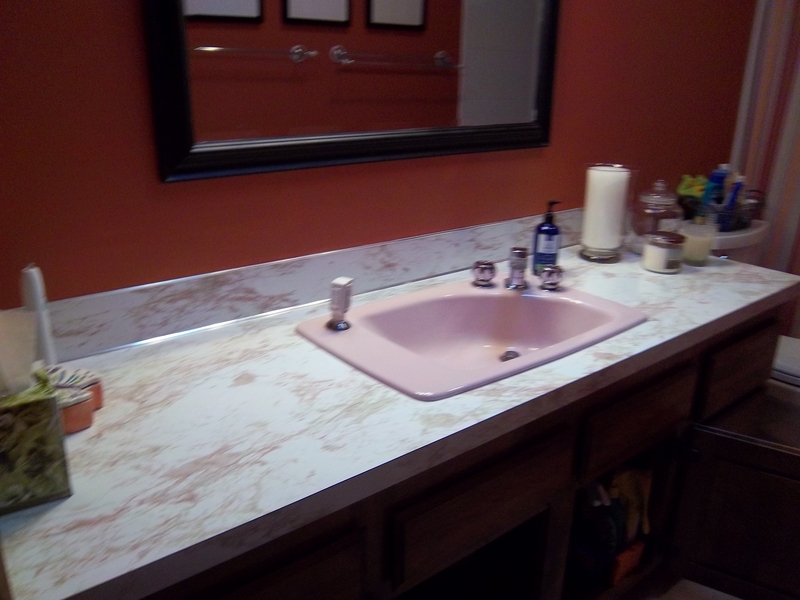 Here we have a laminate countertop which is still in fine condition but the look needs to be updated. Glued-on backsplashes do not add much interest or depth to the look so that will be changed. The old faucet needs to be replaced and this will require a plumbing modification. The pvc from the wall currently angles to the right and will have to be replaced. It will be nice to eliminate the silver trim that is so commonly used on laminate. 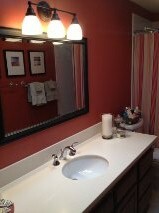 The product selected was Corian Vanilla with a Caxton undermounted sink. The faucet is Kohler Forte in sterling silver. We selected a modern edge to keep a crisp clean look. What a difference!